The best Irish Tamales loaded with corned beef, cabbage and potatoes – the perfect way to enjoy your St. Patrick’s Day leftovers! 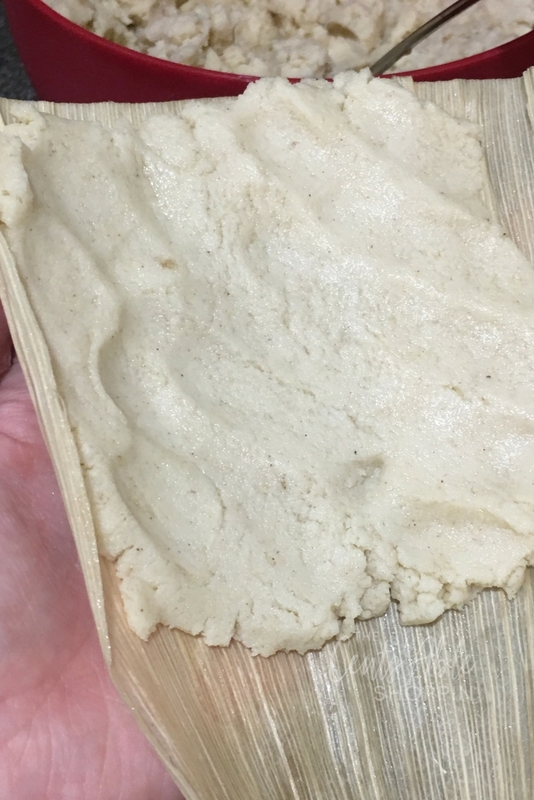 A few years ago, it would probably be unheard of to make tamales around St. Patrick’s Day. After all, St. Patrick’s Day is an Irish holiday and frankly, I’m not Irish. 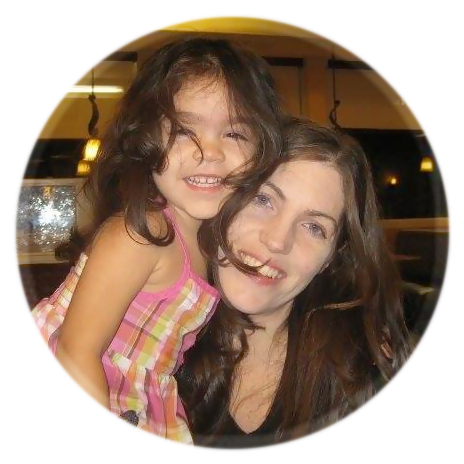 When I was a kid, people used to comment and question my mother every time we went out, because my 3 siblings and I looked Irish. It used to aggravate my mother probably because she was British (both sides of my family are). Any mention of Ireland or St. Patrick’s Day used to send her on a bloody rant about anything and everything she disliked about the Irish. Thirty years later, here I am making Corned Beef and Cabbage Tamales. Dare ask me what prompted this, and I’ll be honest and tell you that I don’t know. Have you ever had an Irish Tamale? Here I was a few nights ago thinking about Corned Beef and St. Patrick’s Day and it struck me: I wonder if I can make tamales with corned beef and potatoes? Perhaps even cabbage? 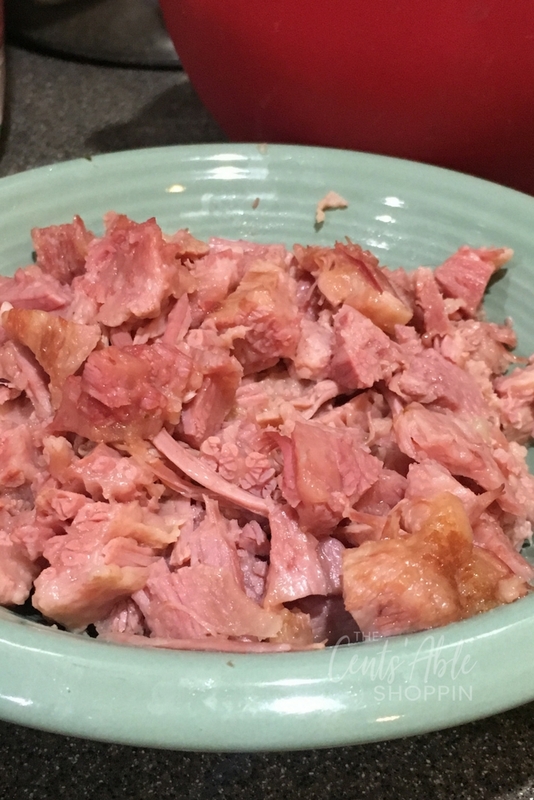 I threw corned beef in the Instant Pot using this incredibly easy recipe, and two hours later I was shredding away. (Him): What are you doing? (Him): With what? What’s that? Corned beef? (Me): Yes, corned beef. Potatoes and cabbage. (Him): But you aren’t even Irish? 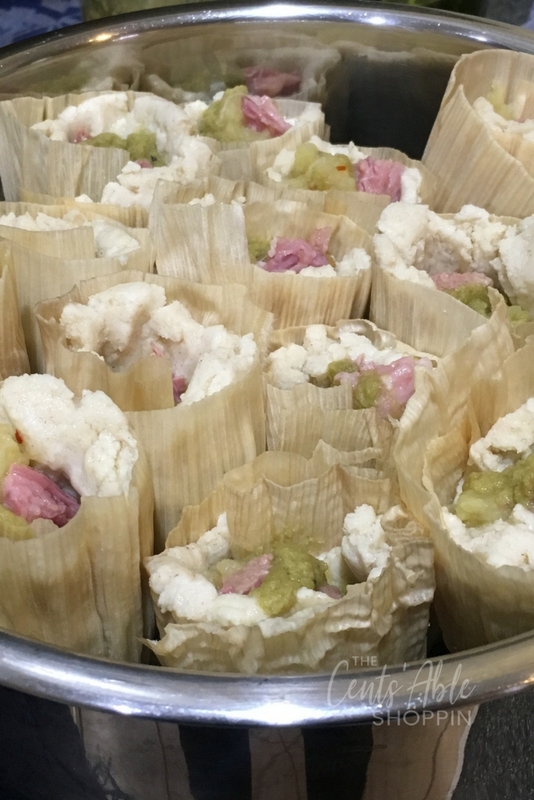 Why are you making tamales with corned beef? (Him): There is no such thing as corned beef tamales. Sometimes the only way you get noticed in the food world is by creating food that isn’t the typical run-of-the-mill recipe. So I made this up, on my own, and they ended up turning out pretty delicious. Though I could be biased and all but I’m pretty picky when it comes to tamales. A three pound corned beef will result in about 14 tamales ~ which is the perfect number to tuck in the Instant Pot. You can make these without an Instant Pot using a traditional steamer pot, but they’ll take a few hours to steam instead of 30-40 minutes in the Instant Pot. Start by by cooking the corned beef (per this Instant Pot recipe). 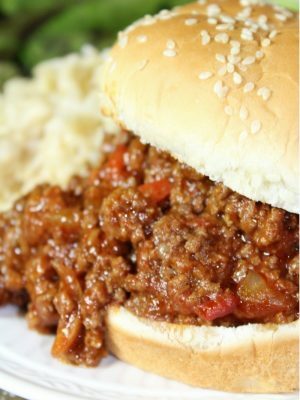 Once done, keep the liquid and remove the corned beef to shred – ensure that the corned beef is shredded no larger than your knuckle. Keep the liquid. You are going to divide the liquid into several parts, so don’t throw it out! In the same Instant Pot you cooked the corned beef, add 1 C. of the reserved liquid, as well as the potatoes and cabbage. Add your red pepper flakes. Push manual (high pressure) and cook for 12-13 minutes. 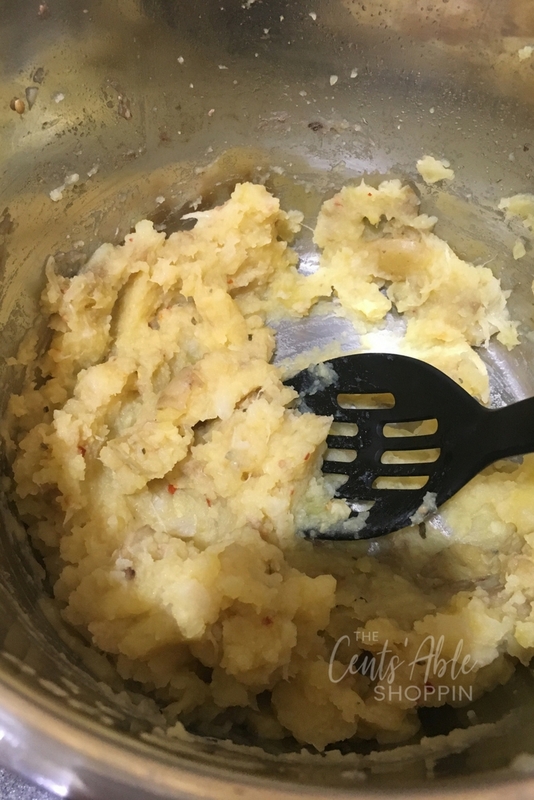 Release the pressure – you want to mash with a potato masher until they are practically mush. Remember: mushy is your goal. 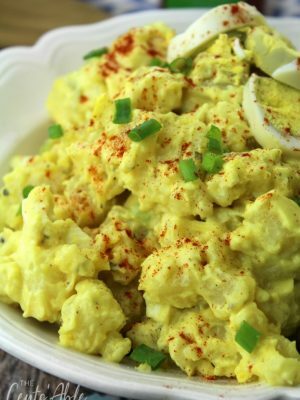 When you are ready to assemble, place a large kitchen towel on the countertop, set your bowls in order – prepared masa, corned beef, potato/cabbage mash, and New Mexico green chile sauce. Set the insert rack in your Instant Pot and fill with 1 1/2 C. water. I like to place a piece of foil on the rack to line it before standing up my tamales. Pull some of your husks out of the water and shake off any excess; lay them on the towel as you assemble the first few. 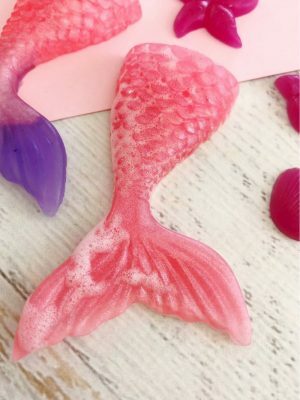 Don’t take out too many or they will dry out so stick with a few at a time. 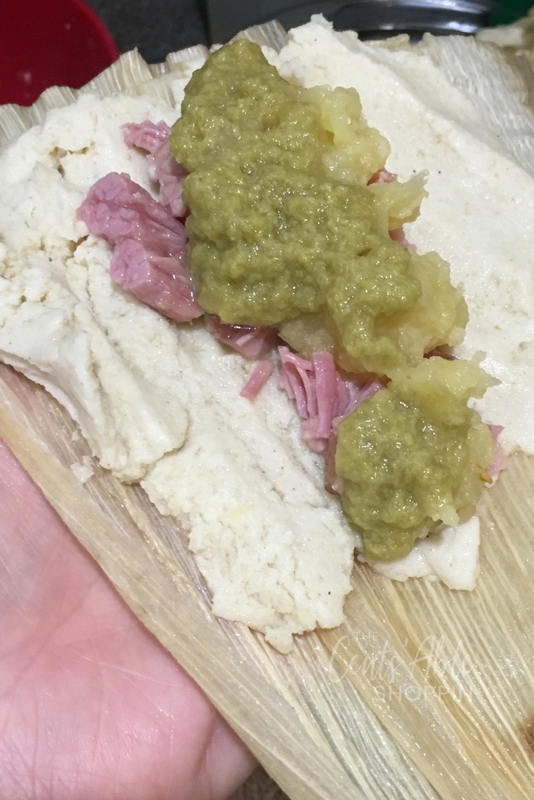 Assemble your tamales: a fist full of masa, pushed down in your tamale, a few spoons of corned beef, topped with some potato/cabbage mash, topped with green chile sauce and folded over left, then right, then up to seal. Rip one of the husks in long strips to use as a tie to keep each tamal secure. Repeat with all masa until exhausted. 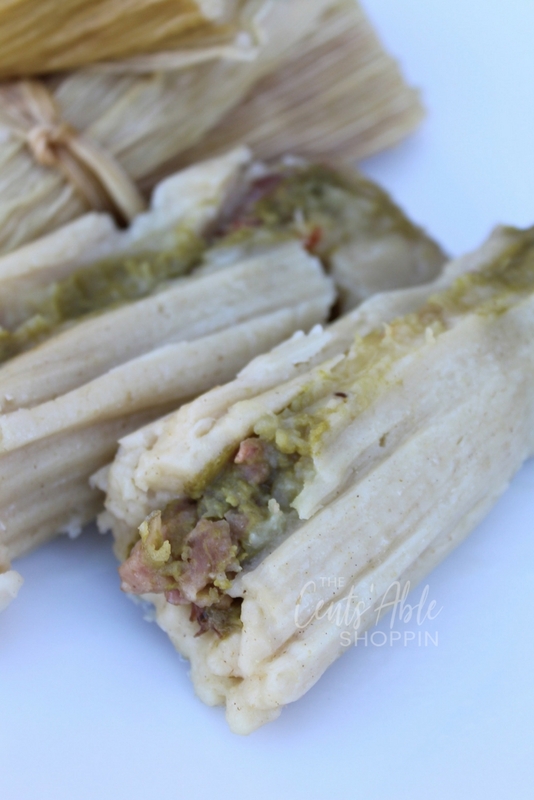 Stack up your tamales in the Instant Pot, open end facing up. You should be able to fit 14 comfortably. Place the lid on your Instant Pot, and set the pot for manual (high pressure) for 29 minutes. It will take the pot about 10 minutes to come to pressure before it counts down to zero. Once it beeps done, allow the pot to release naturally for 10 minutes, then do a quick release. 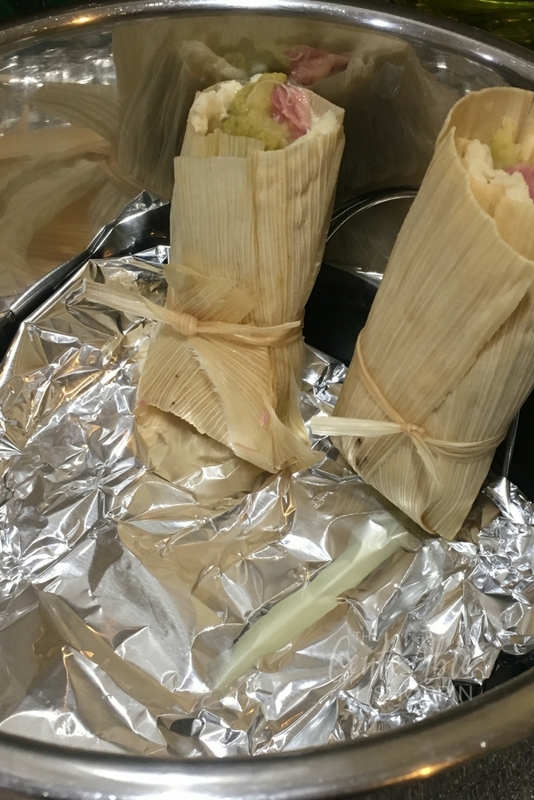 If you aren’t eating your tamales shortly after cooking, cover them tightly in plastic wrap, or place in a ziploc bag and refrigerate. If you leave them out, the masa will dry out – you want to keep that moisture there. Reheat by wrapping your tamale (husk and all) in a damp paper towel, and popping in the microwave for 35-45 seconds. Remove and discard the paper towel and husk. A combination of Irish and Mexican in one ~ tamales stuffed with corned beef, cabbage, potatoes and Hatch green chile sauce. Delish! Start by by cooking the corned beef (per this Instant Pot recipe). Once done, keep the liquid and remove the corned beef to shred - ensure that the corned beef is shredded in pieces that are no larger than your knuckle. Keep the liquid. Soak your husks in one side of a clean kitchen sink, covering completely with cool water. They need 30-45 minutes to soak, so start soaking in advance of preparing the other items. Prepare the masa by mixing the masa with 1 C. of the reserved cooking liquid from the corned beef, remaining water and oil. Stir in baking powder. You may need to remove your rings/jewelry to mix the masa by hand. Add any additional water or oil as needed to make a very moist dough. Cover with saran wrap and push aside. In the same Instant Pot you cooked the corned beef, add 1 C. of the reserved liquid, as well as the potatoes and cabbage. Add your red pepper flakes. Push manual (high pressure) and cook for 12-13 minutes. Release the pressure - you want to mash with a potato masher until they are practically mush. When you are ready to assemble, place a large kitchen towel on the countertop, set your bowls in order - prepared masa, corned beef, potato/cabbage mash, and New Mexico green chile sauce. Set the insert rack in your Instant Pot and fill with 1 1/2 C. water. I like to place a piece of foil on the rack to line it before standing up my tamales. Assemble your tamales: a fistfull of masa, pushed down in your tamale, a few spoons of corned beef, topped with some potato/cabbage mash, topped with green chile sauce and folded over left, then right, then up to seal. Rip one of the husks in long strips to use as a tie to keep each tamal secure. Repeat with all masa until exhausted. 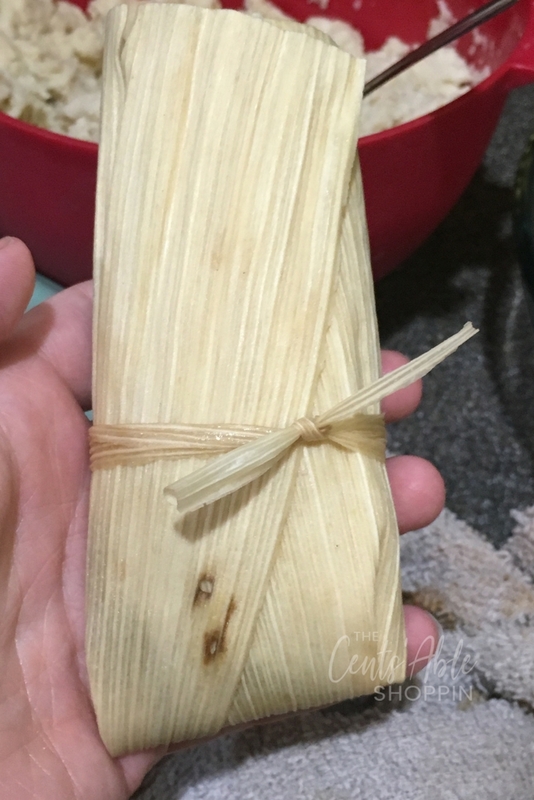 Stack up your tamales in the Instant Pot, open end facing up. You should be able to fit 14 comfortably. Place the lid on your Instant Pot, and set the pot for manual (high pressure) for 29 minutes. It will take the pot about 10 minutes to come to pressure before it counts down to zero. Once it beeps done, allow the pot to release naturally for 10 minutes, then do a quick release. Carefully remove the tamales and allow to stand for 5-10 minutes before enjoying. Corned beef tends to be saltier than regular shredded beef, so go easy on adding extra salt to the masa. 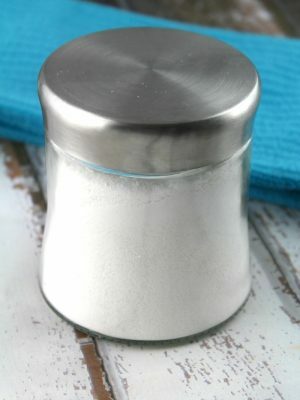 We found that a teaspoon of salt was all that we needed, any additional and the tamales tend to get a little salty for our liking. Looking for more tamale recipes? We have many!